One of the most common shoulder conditions that I see in the clinic is known as “Impingement.” It is really a description of a variety of causes that result in pain when the rotator cuff tendon and bursa are compressed against bone as the arm is raised above the head. I see this commonly in both young athletes and middle-aged people who have to lift their arms overhead in sports such as swimming, baseball, and tennis. Those who do repetitive lifting or overhead activities using the arm, such as construction workers, tradespeople, night fillers in shops or painters are also susceptible. The pain may develop as the result of repeated minor trauma or spontaneously with no apparent traumatic event. 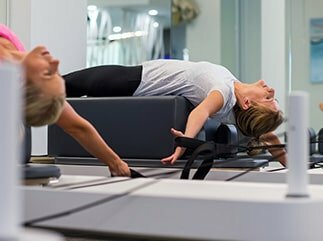 · Graded strengthening programs for both the muscles around the shoulder blade and the rotator cuff muscles. · Massage, dry needling and stretching of tight muscles. · Exercises for improving shoulder movement patterns. · Avoid aggravating activities which may include overhead reaching and heavy lifting. · Be mindful of your posture while working or using computer devices at home. · Speak to your physio about suitable exercises to correct the problem before it becomes worse! The longer the pain has been in existence the harder it is to alleviate and correct the underlying cause. If you are experiencing any shoulder symptoms similar to the above that are stopping you from doing the activities that you would like to or are impacting on your daily activities then call to book an appointment with Lauren today to get your shoulder assessed and treated. 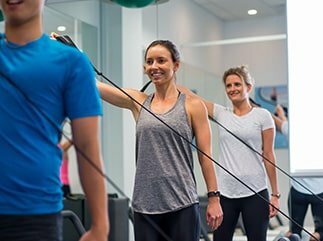 We work collaboratively with Sydney’s top Orthopaedic Specialists, Sports Physician’s and Radiologists to help achieve optimal outcomes for our patients.